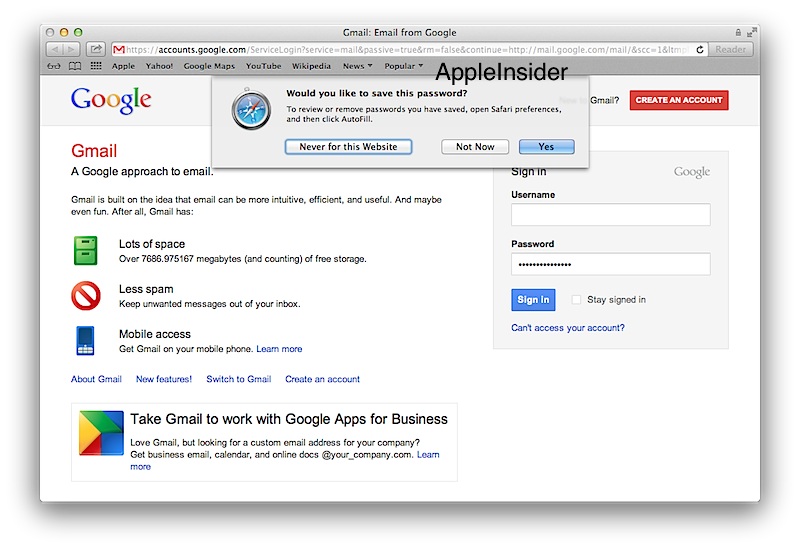 When users log into web accounts (such as Google) in Safari and opt to save their account login, the browser will now offer to also configure local native apps, including Mail, Calendar, Contacts, Messages and Notes, in this summer's release of OS X Mountain Lion, leveraging the same easy account setup pioneered by iOS. In OS X Mountain Lion, Safari more tightly integrates the web with local desktop apps. 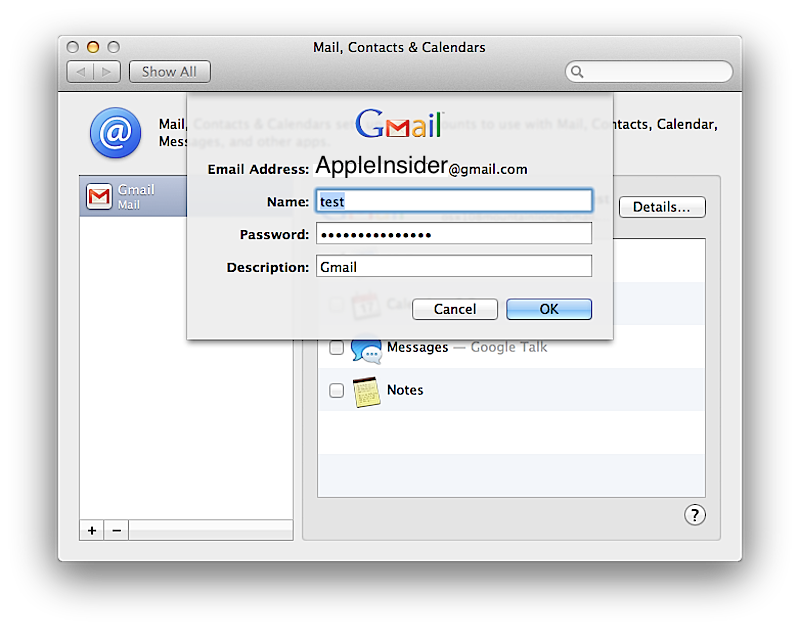 Previous segments in the Inside OS X 10.8 Mountain Lion have highlighted Safari's upcoming new user interface, anti-phishing, Reader and sharing features as well as new password management, privacy settings and an alert feature that allows web sites to send updates to the Notifications Center. Another desktop integration feature of the new Safari is the ability to set up web accounts for use with local apps. 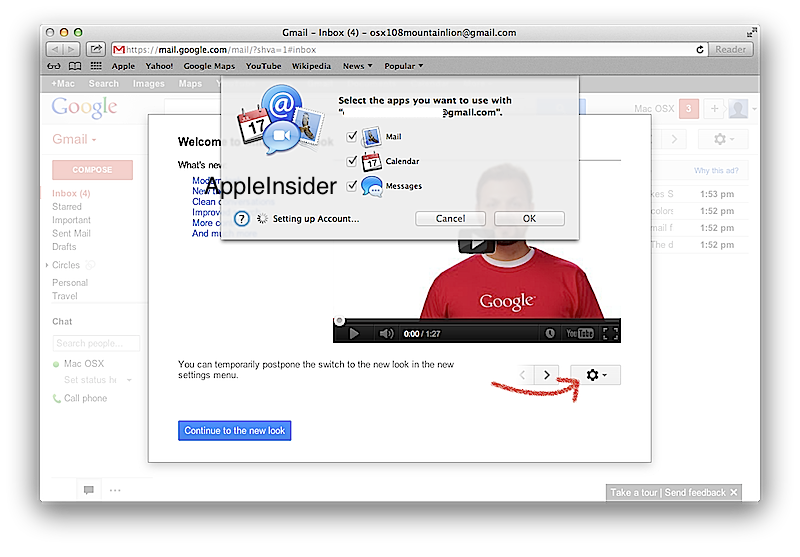 When logging into an Internet service like Google Gmail for the first time, after being prompted to save their account information (below top), the user is also given the opportunity to have the account automatically configured for use with other apps (below bottom). In the current prerelease build Apple seeded to journalists, Safari offers to set up Mail, Calendar (the new name for iCal) and Messages. After setting up the account, it appears in System Preferences, and individual services can be selected. 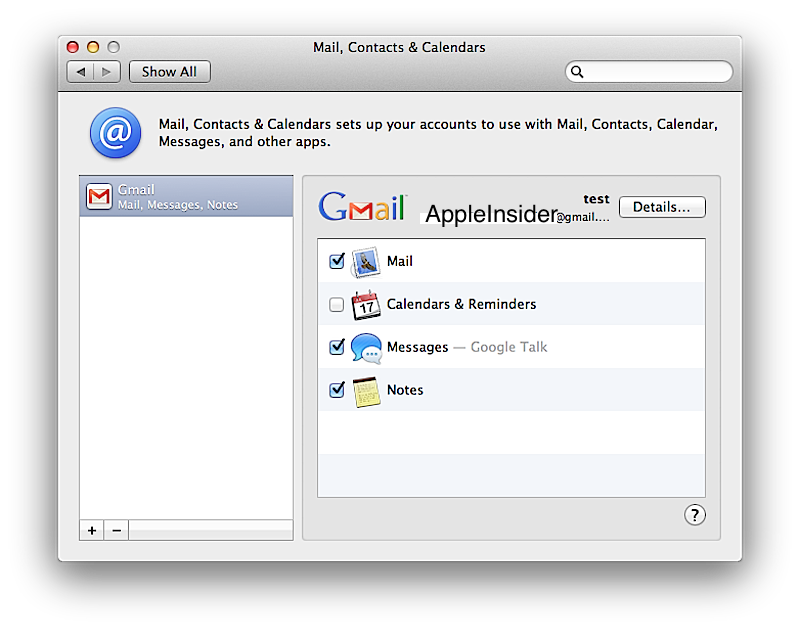 In the the "Mail, Contacts and Calendars" pane, Gmail is set up for Mail, Calendars & Reminders (both of which use CalDAV), Messages, and Notes (which, like Mail, uses IMAP; in Mountain Lion, Notes is now a standalone app that can work like the old Stickies). When attempting to set up Calendar, we ran into an issue with Google's servers and CalDAV, but this should be resolved when Mountain Lion ships. 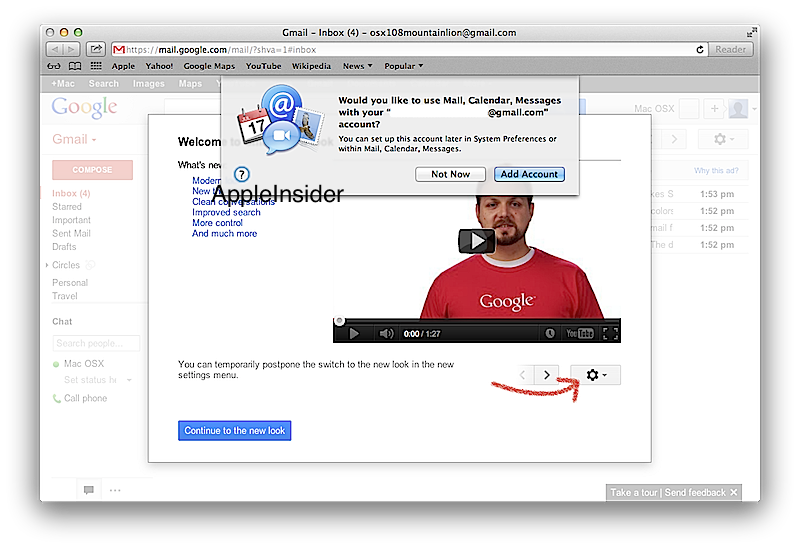 Google does yet not support CardDAV for Contacts (the new name for Address Book in Mountain Lion, which like iOS Contacts, is based on the open CardDAV specification). Google currently only offers its own AtomPub/GData-based Contacts API. Other Internet services, including Yahoo, already support Contacts in OS X Lion. By setting up users' accounts automatically, Mountain Lion makes it easier for non-technical users to login once and gain access the the advantages of native, local apps, without having to follow directions for configuring IMAP services, CalDAV and CardDAV services on each account.